Summers in Arizona can be unforgiving. One quickly learns to test the surface temperature of objects left in the sun before committing to full contact and to never wear shorts on leather car seats. From May through September, it is not at all uncommon to avoid the outdoors as much as possible; the reprieve of air conditioning far preferable to streets and sidewalks that fry feet as quickly as eggs. The arid, rocky, cactus-laden land that Arizona is perhaps best known for lies mostly in the southern part of the state, where temperatures can surpass 115 degrees Fahrenheit. Over 370 miles of that land stretches across the border to Mexico, which for years migrants have attempted to traverse at great risk. From 2000 to 2010, the remains of 1,755 people have been found scattered throughout this desert; individuals that succumbed to dehydration, starvation, or sun exposure. Despite the dangers, migrants from Central America continue to cross into the southwestern United States; either desperate or determined to seek out relatives, work, or refuge from violence. An average of over 500,000 migrants have been apprehended in the last five years alone by U.S. Customs and Border Protection. The presence of families and minors at the southern border—and the government’s punitive response to them—has drawn media attention of late; increasing pressure on policy makers and human rights advocacy groups alike to find real, cogent solutions. Earlier this year, a federal judge found four volunteers from the humanitarian aid organization “No More Deaths” guilty of entering the Cabeza Prieta National Wildlife Refuge in southwest Arizona without a permit and leaving behind food and water—both of which qualify as misdemeanor offenses. The volunteers explained that the food and water was left behind for migrants that often cross through the area, and that they failed to obtain and sign a permit because the wording stipulates individuals may not leave behind food, water, or medical supplies. The volunteers, whose legal battle is ongoing, face $500 in fines and up to six months in federal prison. Several other No More Deaths volunteers face similar indictments. The response to these humanitarian efforts, led by the U.S. Attorney’s Office in Arizona, calls into question the United States’ already controversial approach to immigration policy. 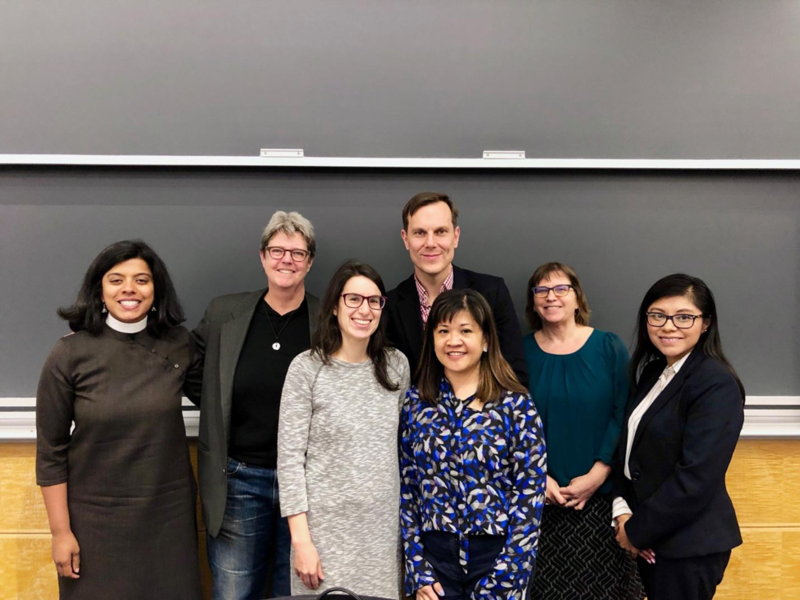 An event at Columbia Law School earlier this month, “Sanctuary Law: Can Religious Liberty Protect Immigrants?” featured an all-female panel—Lizbeth Mateo, Winnie Varghese, Amy Gottlieb, and Rose Cuison Villazor. The women discussed whether or not, and how, U.S. policy that protects the religious freedom of citizens can be used to aid migrants arriving in the southwest. Back, from left to right: Winnie Varghese, Katherine Franke, Matthew Engelke, Amy Gottlieb, Lizbeth Mateo. Front: Liz Boylan, Rose Cuison Vilazor. Lizbeth Mateo, an attorney and immigrant rights activist, offered an interesting and unique perspective into the plight of migrants along the southwestern border. She currently represents several migrants in the custody of the U.S. Department of Homeland Security Immigration and Customs Enforcement (ICE). Their cause, she said, is near and dear to her heart—because she herself is an undocumented immigrant. Whenever Mateo visits a client or represents one in court, she runs the risk of being arrested and detained in an ICE detention center. But the gamble, she says, is worth it. Her clients, after all, have risked everything to get here: their lives, their freedom, their wellbeing—what right has she to fear, when her clients have so much on the line? While posing compelling arguments for migrants’ need of legal representation, Mateo and her fellow panelists make it clear that it is only half the battle. Currently, California and New Mexico are the only states along the border of Mexico with sanctuary laws—that is, “laws, ordinances, regulations, resolutions, policies or other practices that obstruct immigration enforcement and shield criminals from ICE.” These laws make it difficult for ICE to issue or complete detainers, and can protect undocumented immigrants for a time. Arizona, however, has no such laws. In lieu of sanctuary counties and towns, migrants have found protection in churches. Although ICE agents are not legally barred from entering a church or detaining someone residing in a church, a 2011 Obama-era policy still in effect deems churches “sensitive locations” in which ICE may not engage in enforcement actions unless there are exigent circumstances or prior approval has been obtained. This grey area has provided many undocumented immigrants a home of sorts; a place where they can convene with loved ones, receive aid from local nonprofits and aid organizations, and stage their fight against deportation. In 1993, Congress passed the Religious Freedom Restoration Act (RFRA). The act, which was drafted largely in response to a controversial Supreme Court decision in 1990, served as a robust protection of the religious liberties of U.S. citizens. Katherine Franke, one of the event’s organizers and Columbia Law School’s Faculty Director of the Law, Rights, and Religion Project, explained that the act was originally intended to protect religious minorities—”non-normative, non-majoritarian religions”—from the impact of laws that “may not on their face infringe on religious freedoms, but do in practice.” Theoretically, RFRA could be extended to situations in which individuals in border states wish to offer their private residences as sanctuaries, volunteers wish to leave food and water in the desert as an act of faith, or where the deportation of an undocumented immigrant severs a deeply important religious connection to a community, religious leader, or family member. 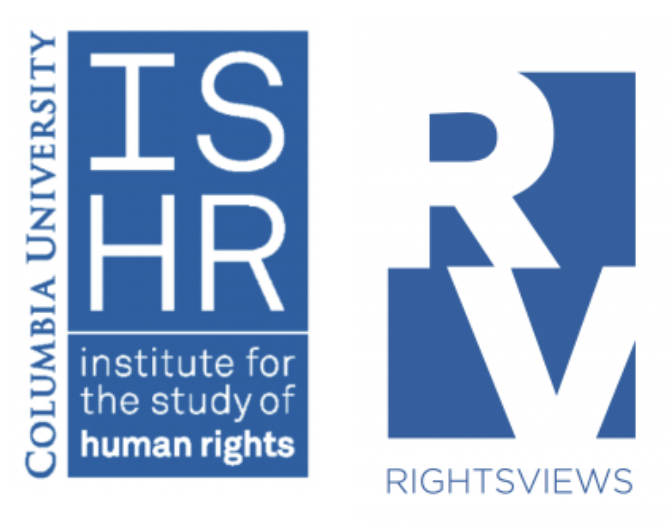 While at first these extensions of RFRA may seem a promising relief for the many thousands of migrants seeking refuge in the southern United States, its use in this manner also poses a great risk to other kinds of individual freedoms. In June of 2014, the Supreme Court held that RFRA allows for-profit corporations the ability to withhold health coverage of medications and services that violate their owners’ religion; something praised by conservatives (Burwell v Hobby Lobby Stores, INC). Could it be that RFRA, if used to serve an arguably socially liberal agenda, would thereby arm a more conservative one? Panelists Amy Gottlieb, Rose Cuison, and Reverend Winnie Varghese attempted to answer exactly that question. Their consensus, however, is that we simply cannot know. Yes, said Villazor, RFRA could be used to protect immigrants; but there is good reason for concern that strengthening legal, faith-based arguments will bolster “the other side’s” efforts to exclude, subjugate, and discriminate. Reverend Varghese similarly felt that there is no need for a value outside of our own, national identity. “What we should be fighting for is the Constitution, I think,” Varghese said. Many faiths are founded on or around a religious obligation to help those in need. It is understandable, then, that advocates might use religion as a lightning rod—an ignition of action, a channel for outrage—in their efforts to shield undocumented immigrants from deportation, to preserve family units, and to rescue migrants from brutal, untimely deaths. And while organized religions and personal beliefs deserve adequate protection under the law, the relationship may rightfully end there. This theoretical dilemma regarding RFRA is reminiscent of a Greek myth, in which a young Pandora stumbled upon an artifact that held more than she had bargained for. In the end, blurring the lines between church and state to serve one purpose—however good and holy—may put so much else we hold dear in jeopardy.